Over the last 13 years in business, we have continued to grow the number of clients, cars, and good times. With that comes the need for more true blood car people. We are on the search for REAL Petrol Heads that have the skills and the passion to join the one of the top European car shops in the region. We take our craft seriously, but not ourselves. At P3 we have a culture of excellence and a team and client focused mentality. This is not the corporate jargon you’re used to hearing. This is how we operate everyday with a passion to be better in everything we do. - Good attitude towards work and team environment. - Enjoys Learning and expanding knowledge and skills. - An insatiable drive to do it better. - Sometimes you fill up with race fuel just because you like the smell of it. Ideally at least a few years dealer experience/training, but should have 5-10 years auto tech experience overall. strong computer skills/previous experience with shop management software. Know their way around shop management software, and know how to ‘dial it in’ to be even better. 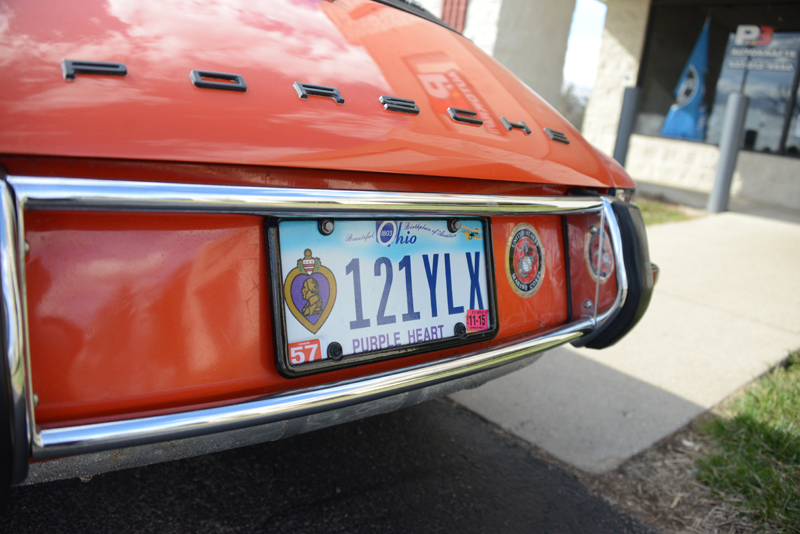 Long time client and all-around great guy, Jack Doughtery, stopped by to tell us a little more about his ’72 911T, and we managed to pass a few hours soaking in stories of Iwo Jima, leased car adventures, and his love of his 911… from day one. Sitting in his relaxed , cross-legged manner with a memorable, endearing smile, and donning his Marine Corp League – Dayton Detachment mesh hat, he clearly has a few years of experience. With his quick wit you’d never guess he’s surpassed the 90 year mark. We invited him in to talk about his car, and discuss what’s kept him in love with his car for the last 43 years, but we got way more than we bargained for with stories of all kinds. His story starts in the years ago joining the Navy, being called up by the Marines, and going back to the Navy. He was a guy in demand for his specific skills, and that later translated into graduating from the military, and going to college, and become a very highly respected oral surgeon. Beyond being good at his craft, he was a lucky guy. As a Navy Corpsman he found himself right in the middle of the storm on Iwo Jima, and in one of the fiercest battles on the island near the southern tip by Mt. Suribachi. Young, vicarious, and driven to help those in need, Jack and his guys landed in a situation of one man left behind in a bunker under fire. Jack volunteered (more correctly insisted) he go and rescue his fallen comrade stuck in the trench. Asking for smoke grenade and heavy cover fire, he made the battlefield dash to dive into the trench. Only to find the guy had a branded line on his back from a bullet that grazed him. “Had I known that, I may not have come for you!” Jack recalls yelling at the gent. From that moment, they proceeded to get pinned down under fire for the subsequent nine hours. Strategically, they fired and returned fire, then, waited, and managed to take out the last of their opponents. Making the dash back, he recalled, was nerve-racking, but finding all the foxholes that previously housed his company were all empty, was even more so. The field promoted Lieutenant, was not a the caliber of leader they were use to, and Jack insured he made it back to the group to give him a piece of his mind. Jack’s demeanor and laugh, gave great insight of how his likes things done… by the book and without fear. Jack followed his passion, and frankly what his excelled at, graduating from college to become an oral surgeon, and jumped into his residency. During his time travelling back and forth at a practice in Northern Ohio, he realized that he wasn’t good at maintaining cars, and honestly it really wasn’t his thing. Leasing became his go to way to drive a bunch of new cars, and never have to really ‘take care of them’. A friend turned him on to leasing, and $187 later he was driving a brand new Ford Convertible,… and that covered the first TWO months! He was hooked. …eventually the sloshing of water in the floor boards got to him. Over the years, when the his cars needed something addressed with maintenance, he just got a new one to start all over again. Having owned Fords, Pontiacs, and a couple Thunderbirds he decided to make a change, and go after something that caught his eye years ago, and this time own it. His friends gave him a hard time when he’d leave the top down in the rain, but eventually the sloshing of water in the floor boards got to him in his last and final big iron lease. In 1972, Jack broke down, and brought the Porsche 911T he still owns to this day. Originally purchased from Century Motors located on Dixie Drive in Moraine, the beautiful tangerine color struck his fancy. With rebates at the time, his total purchase price came to $10k. He drove it for many years, enjoyed it, and in many ways was his daily transportation. After a few mechanical engine issues with the early generation mechanical injection he decided to take it to Ray Thacker. Thacker was the man behind, Stuttgart Automotive, and the guy to perform the tuning. Once inside the project, Ray made a few recommendation, that Jack was apprehensive about, but trusted his judgement. With Jack, giving the ‘yes’ to proceed, the car became a 2.7L, Weber fed motor. “Seeing all the parts of my motor all over the place, on the bench and in buckets didn’t give me a lot of hope, but I had great trust in him, so I kept my mouth shut.” Having fits with the early mechanical injection was a thing of the past. Jack got his car back as promised and BETTER. “I was relieved to actually get it back all in one piece”, Jack recalls, and has never regretted it in the least. 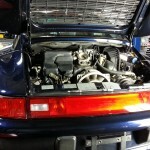 Many years that have passed since the 65k mile motor rebuild and repaint (in the original color), and Jack continues to keep his 911 in top mechanical condition. The odometer reads a youthful 95k miles and no signs of slowing down. Jack also tossed in a number of stories of vacation, travel, National Porsche Parades, and a good 360 degree spin at Putnam years ago that got his blood pressure up. He’s no stranger to enjoying the Porsche lifestyle. It was a pleasure to sit down with a gentleman that has graced our shop for years, and get (as they say) the full story. 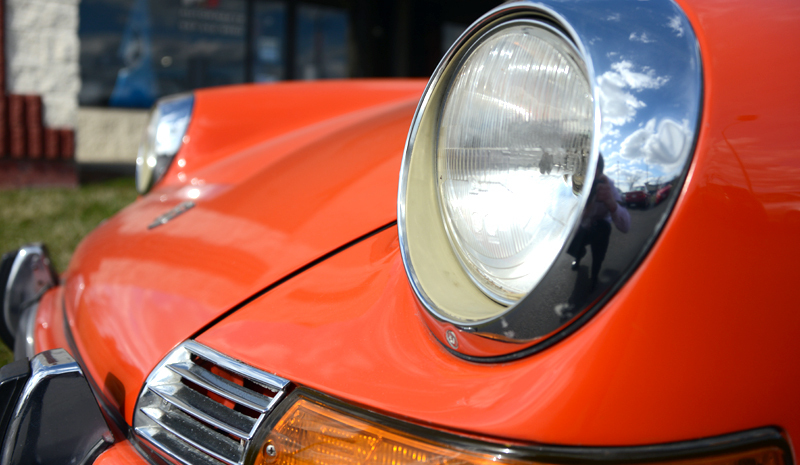 We are proud to service this time capsule 911T, and more so to call Jack a good friend of P3. Also we want to extend a THANK YOU to Jack for his military service. We love to see avid enthusiast and daily commuters alike get new cars. Being excited about the purchase, and having good knowledge their dream car is just that, not a nightmare. For years, we have been doing PPIs (Pre-Purchase Inspections) to help buyer confidently put down healthy sums with confidence. With the desirability of some of the air-cooled Porsche makes we have see values climb at a staggering rate, and the number available shrink leaving the price to go up. With this elevation of desire and market value comes the wild claims of originality, and people trying to sell through dishonesty and misrepresentation. Recently, we had a vehicle come in to our shop that illustrates this very well. 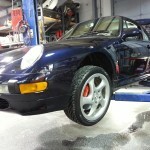 We received a call from Texas to help a gentleman out who had found his dream Midnight Blue Porsche 993 Turbo here in the region. It really was a stunning car, and it’s no wonder why these beautiful cars continue to climb in value. At initial glance, it was a clean car that was not being sold as a salvage title or was sold as wrecked. No damage really to speak of, it was seemed to be an honest car. Clean Car Fax with no indication of collision. With the PPI process we look over the vehicles with keen eye on the details, corners, any over-spray especially in the rocker panel regions or place where their are post-paint body plugs. These areas can tell many stories about the past of a car. 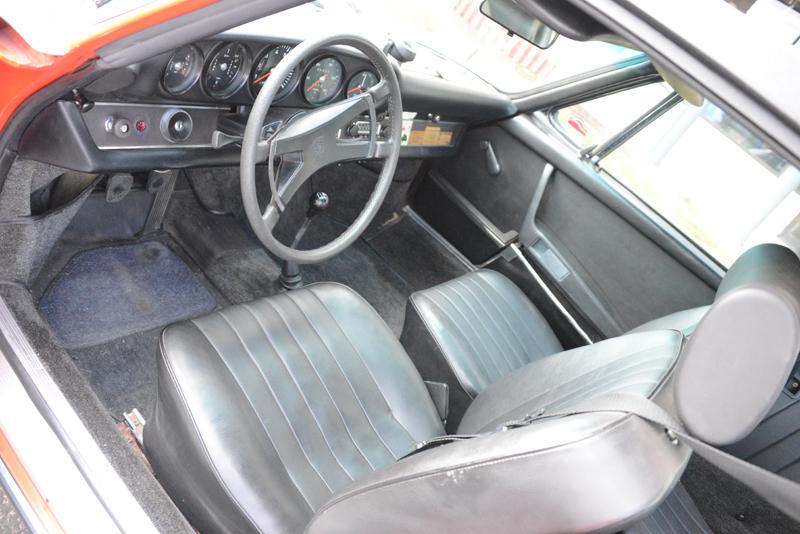 The car was being listed at approximately $90,000 USD, and was high for the market. This was not being listed by a private owner, but a business. 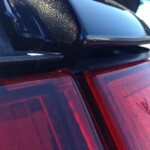 Rain Guards: Tack-welds the entire length when they should be smooth. 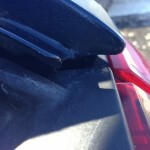 This indicates that, at one point, the car had been split at the seam to allow a panel replacement. 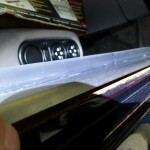 Door/Door Sills: The sills had a bump/step in them likely from the replacement panel overlap. The door gap wasn’t uniform. 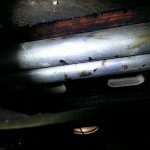 Under the door sill was where shops will hide the welds… we found welds. Back deck Rail: Where the rear quarter panel meets the trunk stamping it was not factory clean spot welds, but a smoothed over area with body filler to hide the repair. 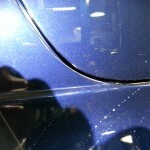 In addition, this area had paint cracking the entire length. 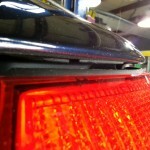 Tail Lights: The three lights that make up the rear didn’t align properly, and was a clear indicator that the angle of one panel in the replacement wan’t quite perfect. 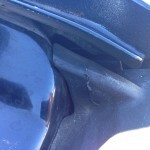 The passenger side rubber gasket wasn’t touching the body to seal this area. In stead the gap was too large, and not able to be rectified correctly. 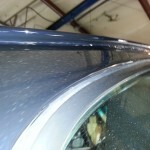 Rocker Panels: The rockers revealed non-factory over-spray that had been sprayed over air-conditioning lines. 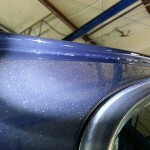 These are installed after paint at the factory and should be clean, bare aluminum. 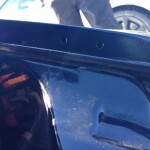 There we found the primered replacement panel fresh edge that didn’t receive paint. This is a key indicator that this car was clearly wrecked. After deliberation, we called the client to tell them the news. We advised to not perform a leak-down test on the engine after this gross misrepresentation. He was clearly disappointed with the findings, however, he saved money by not performing the leak-down test, and furthermore, tens of thousands of dollars in a car that is not worth the asking price. The following day we performed a Post-Purchase Inspection for a young man that had purchased his first M3. The car was a great deal to begin with, and he needed and oil change. He had P3 Autokräfte inspect the car, and insure that he had a solid car to start with, and let him know if there was anything that needed addressing. He had found a quality car. Money well spend, and good peace-of-mind. If you are looking at a used vehicle please let us know how we can help insure that you receiving the car of your dreams. Call today 937.312.9950 to schedule an appointment for inspection of your newest love to insure that it was meant to be. 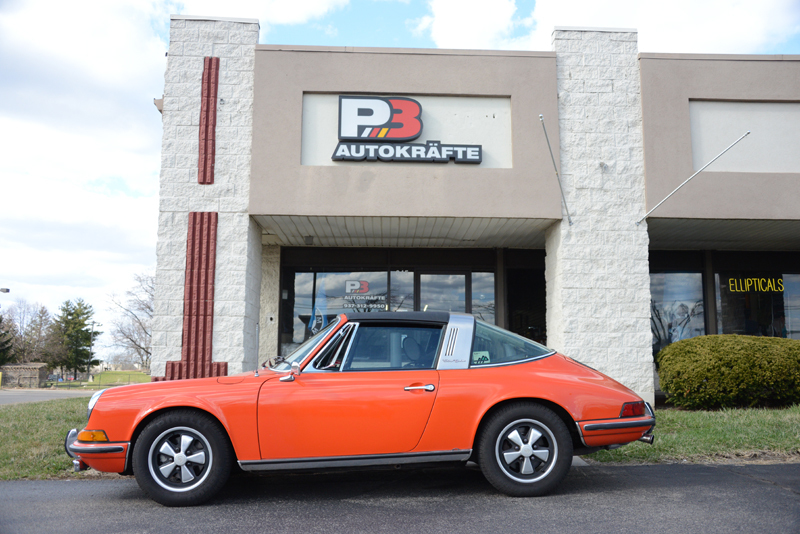 P3 Autokrafte is primarily a Porsche and BMW facility which also services Audi and Volkswagen. We can’t forget the fantastic little brother under the BMW umbrella; Mini. Without a Mini specific dealer in the Dayton Area, some Mini owners may feel a bit underserved. That’s where we come in to help. If you are on the Mini forums, and are enthusiasts like we are, you know about the potential damage of a tensioner failure. With Mini Coopers, Clubmans, and Countrys on their second, third or even fourth owners, sometimes critical info doesn’t get passed down about the items in a recall or recommended dealer services. Not everyone in an enthusiast, so we want to spread the word. Preventative maintenance is key to trouble-free years of use, and ‘failure’ will not be in your future. 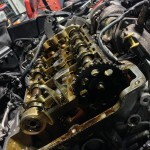 Depending on how you search or what part you believe to be the first to fail they are all interconnected; VANOS, cams, tensioner, vac pump, chain, pulleys, guides, etc. Each one of these can be affected with a catastrophic failure, and you can then throw in the valves, head, etc, etc. This is not a pretty picture to be painted, but we wanted to bring this to light before it’s the case for your Mini. There have been recalls on the chain and tensioner since the inception of the Mini, they have made a change to the tensioner and the chain to hopefully prevent this in the future. When it comes to Minis with the R56 motors we recommend changing the tensioner, and closer oil change intervals. 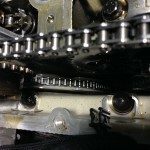 We see the chain, tensioner, and guides as a routine maintenance items that should be replaced (before 100k for the standard Mini and 60k for the S). Some recommend it sooner, but keeping a close ear to any rattling before these intervals; especially noises within the few seconds after start are good indicators that you should have it inspected. It’s a fairly inexpensive service, and should be considered like a water pump replacement or other long duration component in your service intervals. The Mini the tensioner, chain, and guides are relatively inexpensive parts. This can cost-effectively be added into your Inspection 2 services. We recently received a Mini that had gone ‘a bit too long’ before addressing. The result was not pretty, and the service became a major overhaul. When the first component failed it caused the chain to break, the motor to skip timing, bend exhaust valves, fail the vac pump, etc, etc. It was a mess. After a re-machining on the head, full top-end re-build, new tensioner, VANOS actuator, vac pump, and a number of other affected items, and re-sync the cams, and VANOS sensors, it is back on the road like a champion. White plastic guide shown (factory updated version), new tensioner is hidden behind the back of the motor. Scoring from chain failure on sprocket. We wanted to make this information as accessible as possible for Mini owners, so we can keep you on the road and out of the shop. Below is a breakdown for a widely accepted Mini Service descriptions and intervals. 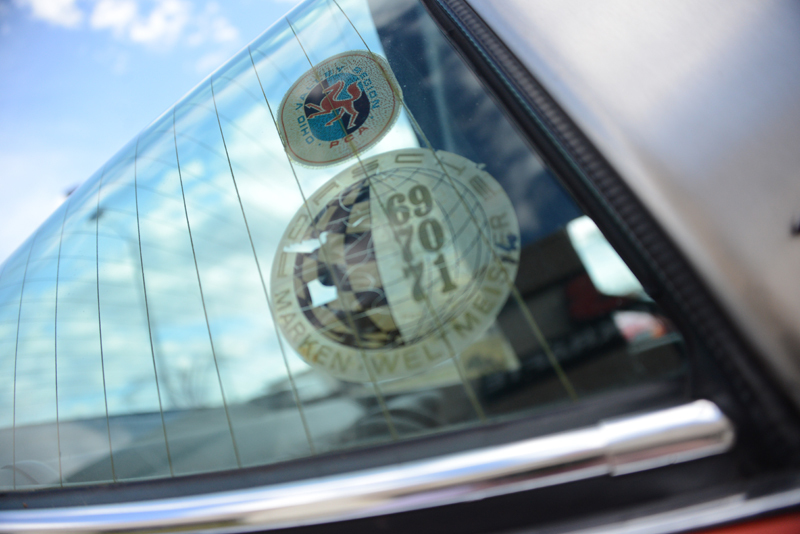 Please feel free to call us to schedule and appointment, or discuss the details of your Mini. Mini Coopers have 3 types of service: Oil Change, Inspection 1, and Inspection 2. Service notifications are in displayed in the middle of the speedometer. Similar to a BMW this mileage will countdown to next service interval. If display is flashing and mileage is negative you are in need of service. The applicable service should be performed. 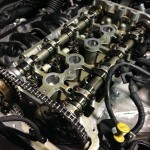 They are performed in the following order; Oil change (x3), Service 1, Oil Change (x3-x4), Service 2. Repeat. Service 1 is also known as a Minor service and service 2 is also known as a Major Service. Change oil and oil filter and reset the oil change indicator. Includes services in Oil Change (above) plus: change Interior Ventilation Filter, change Transmission fluid if CVT, add Windshield Washer fluid, check Wipers and Washers, lubricate doors and locks, check Battery condition, Suspension, CV boots, Exhaust System, Manual Transmission fluid level, pressure check Cooling System, and reset Service Indicator and road test for overall performance. If you have any questions, feel free to call, email, or send a PM on Facebook or Twitter. Every so often we have someone ask about the intermediate Shaft (IMS) Bearing in the 996 and Boxsters, and what they should do, and how worried should they be. 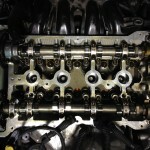 In short, the Intermediate Shaft (IMS) Bearing in the M96/M97 engines are nothing to loose sleep or fret over. In all of our combined years working on Boxsters and 996 era cars that share the same engine, in total, we have personally heard of two cars in the area that had IMS failures. With a percentage of failures this low we acknowledge they happen, and we don’t disregard them. There are hours of in-depth reports, reviews, DIY how-to’s, and a number of other sources and forums discussing this issue. We have read at length, and know this issue very well, but can only clearly rely on our own years of experience as to ‘what you can expect’. 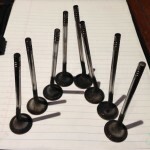 When changing the oil, we perform a full inspection of the oil filter to look for ‘glitter’ or metal flecks. This is a good indication that the IMS is starting to fatigue. You can, but we don’t recommend performing an elective or preventative IMS Bearing fix as a single service due to the high cost of labor associated with this replacement. However, if you are having your clutch serviced or replaced or having other engine/transmission removal type services performed we highly recommend having your IMS bearing replaced with an upgraded unit. 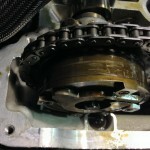 The talk around the IMS bearing is no reason not buy a 996 or Boxster. They are fantastic cars, and are a blast to drive. 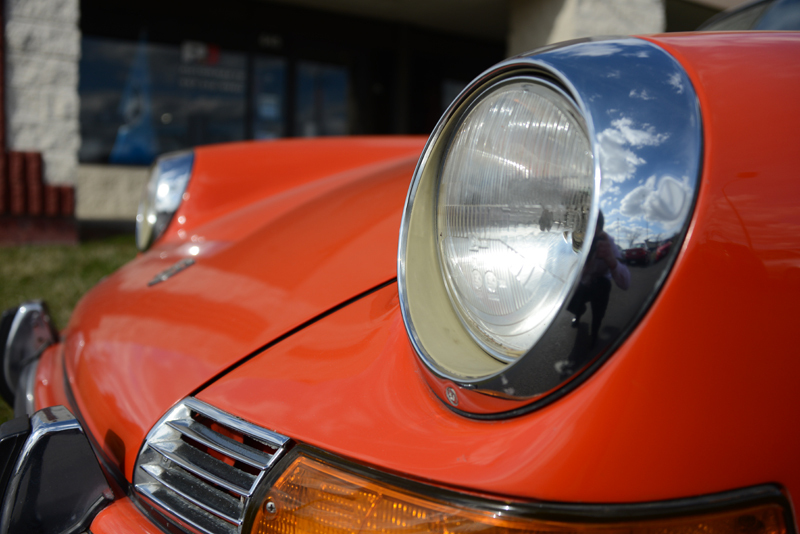 Overall, we recommend oil changes at closer intervals, complete filter inspection, focus on enjoying your Porsche, and leave the extra internet noise behind. Tech Q&A: Should I use a heavier engine oil in the summer and a lighter oil in the winter? We usually recommend to adhere to manufacturer’s recommendations on oil viscosity. With that said, I personally prefer to go to the heavy side of the recommended oil viscosity for a given climate range. At the shop here in Dayton, Ohio we use Motul 5W-40 for all late model German cars (except BMW M series) for all four seasons. 5W-40 easily covers the viscosity needs for these cars in nearly any conceivable temperature we are likely to see in our part of the world. For BMW M Series we use Lubro Moly 10W-60 year round because that is what BMW recommends. The only oil related issue that I disagree with the manufacturers on is the extended change interval now used by all the German makes. Porsche recommends 20,000 miles or once annually between changes, BMW and Mercedes are both using condition based intervals that result in between 15 and 18 thousand mile changes. We recommend changing the oil in half the time the manufacturer recommends or at about 7500 miles. Tech Q&A: What should I do to my car when I get it out of storage, before I start enjoying it again? Every man or woman should own this, it’s the “Booster Pac ES5000″. It’s the only one out of many of these devices on the market that should be considered in my opinion. The reason is, even if you properly prepped your car for storage for a few months ago, and you either disconnected the battery during storage, or you had the battery on one of those maintainer gizmos (more than likely) the car will still need a jump to get started. It seems like more often than not, no matter what preparations were made for storage, after three months of not being started/charged, the battery just doesn’t have enough power to turn the engine over. That is why you need the ES5000. It will start the car for sure. It’s better than the best set of jumper cables money can buy, which is why you need to own one even if you don’t store a car. The other thing you should be prepared for is low tire pressure. Even if you didn’t have any slow leaks in any of your tires when you parked, the tires will almost certainly have lost some pressure. If they are just a little low, like 10 psi or less lower than specs, or lets say no less than 20 psi, then you will want to get straight to an air source after you get the car running. If you have a tire that is lower than 20psi then I would suggest you bring something with you to fill the tires. Either a portable air tank or a portable tire inflator (which you can operate off your ES5000 after you get the car started). Personally, I prefer the portable air tank over the inflator because I can fill it up in my garage with my air compressor, then I don’t need to hassle with a power source for the portable inflator option. The downside to the air tank option is that you can only fit so much air in the tank and you might run out before all your tires are filled. Here is a nice aluminum portable air tank from JEGS. Aluminum means light weight, which would make a difference when you’re lugging it around. Before you set off, give a quick glance under the car to see if any new leaks popped up over the winter that might alert you to and potential trouble. Check the fluid levels to be sure. That’s about it. GO DRIVE! Enjoy the sun and the fresh spring air. 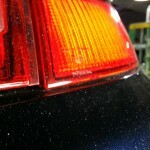 Don’t forget to give that car a good hand washing after accumulating dust for three months. I would just call Asher’s (if you are in the Dayton area). Tech Q&A: What should I do to my car before storing it for winter? What should I do to my car before I store it for the winter? This is a pretty common question at our shop when the winter months are approaching or when someone is considering the first time purchase of a car they don’t anticipate driving in the winter. Here in Ohio, where the roads get the salt, you want to park that baby until spring. I know what you are thinking; do I need fuel stabilizer?, can I leave the oil in the car?, should I put the car on jack stands?, should I have the tires dismounted and hermetically sealed?. I always flashback to that scene from Back to the Future III when I think of this. You know, when Marty and 1955 Doc blast the DeLorean out of the cave where it has been stored since 1855. Cobwebs and dust all over the thing and the tires have completely rotted away… one of the best movies of all time if you ask me. Since three or four months is a really short period of time as it relates to the atomic half-life of molecules lets just be practical in answering this question. You really should make sure your battery is in good shape and it is not too old (more than 5 years) when you put the car away for the winter. Make sure the charging system has been charging the battery properly during the previous warm months. If that’s all good then you’ll want to disconnect the battery’s negative cable while it is to be stored. 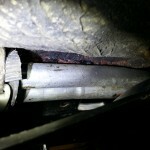 This will minimize the “parasitic” drain while the car is not in regular use. 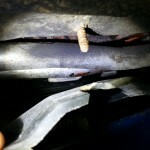 Parasitic drain is the result of the various loads placed on the battery’s negative cable from consumers such as computer memory, clocks, security system and so forth that even older vehicles have. Many newer vehicles have the ability to go to “sleep” when not in use but there will still be draw on the battery from “keep alive memory”. The accepted normal value for parasitic draw is less than 25 milliamps. This is not much but it could drain a battery over the course of a few months especially if conditions are not ideal. It is even possible for a battery to become drained when it is disconnected, simply from electrons flowing through the dust particles laying on top of the battery! All of this is of course just an effort to try to ensure that when you do dynamite the cave entrance, the DeLorean will start. The other thing to be concerned with is tire pressure. The air pressure in most tires will drop over time, therefore if you want to be able to drive the DeLorean out of the cave once you get it started, you will need to have air in the tires, assuming they didn’t rot off. It would be a good idea to be well aware of your tires’ leaking habits, if they have any, and get those repaired before storage time. Make sure the tires are properly inflated just before the car goes into storage. Even a little higher than manufacturer’s specs would be fine here. When you go to retrieve your auto several months later, for that wonderful first drive of the year, it will almost certainly have lower air pressure in the tires than it did when you parked it. 10 psi lower than when you left it 4 months ago would not be any surprise at all. In fact, the surprise would be if it didn’t lose pressure during storage. Assuming you will observe lower air pressure after storage, one of your first priorities should be to get straight to a source where you can properly inflate the tires. Aside from taking the above precautionary measures, there isn’t much you should bother with for storing the car for the winter and if these fail you when you go to retrieve the vehicle you will virtually guarantee the success of your effort if you bring with you some means for checking/inflating the tires, and jump starting the battery. There are a few other questions that I thought the normal reader would be wondering as I was writing these words, such as, “what about condensation in the oil, what about flat spots on my tires, what about using battery maintainers/chargers, should I have the oil changed before or after I store the car, etc..” but I really believe I answered the question rather completely above and that the other questions are topics all on their own. PS – I realize that many cars in my area have already been stored for the winter months, which we are deep in the throes of. I will be following up however with “What should I do to my car when I first get it out of storage?” I know you all are anxious for that! 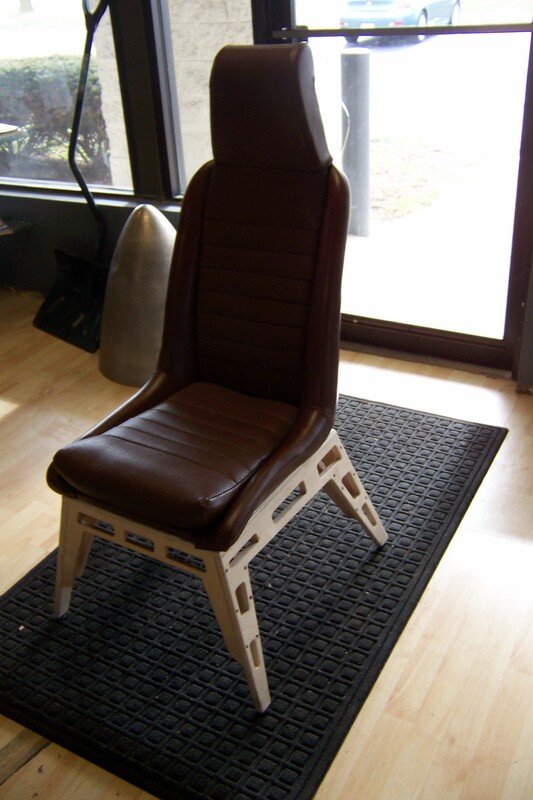 Our good friend, Ted, worked out a great base design for these brown, vintage, Porsche 914 seats. 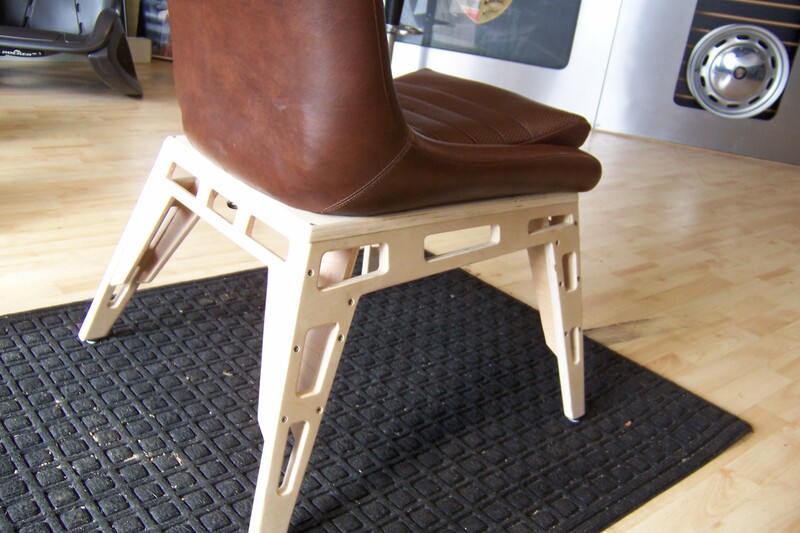 We have the set in the shop showroom for customers to enjoy. The new shop is really starting to take shape.